It was love at first sight with this unique two-in-one piece! 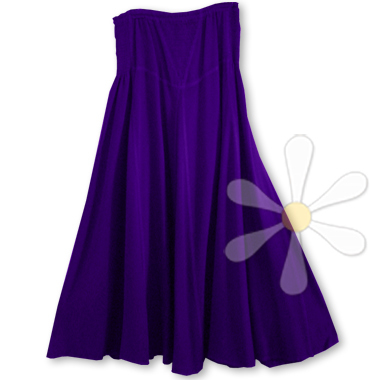 Both a flirty strapless dress and a shirred-waist skirt -- how sensational is that? The wide elastic shirring is strong enough for support yet doesn't squeeze or pinch. The 'V' insert in the center -- a tummy-flattering feature when worn as a skirt -- is a delightful visual 'break' most shirred garments don't offer. Of course, it's extra yummilicious in organic susti, which we've coined 'the cashmere of cottons'... if you don't know susti yet, you'll wonder how you lived so long without it. Truly. Ethnic and modern, comfy and the right touch of flirty... perfect!